Hunter's Original shoes feature a platform heel, adding height without compromising on comfort. 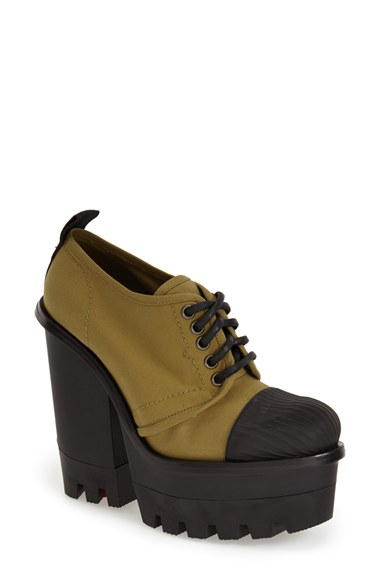 Crafted from canvas, this light-olive pair features a lace-up front, contrasting toe cap and chunky heel. The perfect complement to day-to-night looks, wear yours with skinny jeans and an oversized shirt.